Reassurance shield after the 50 Business loop splits. 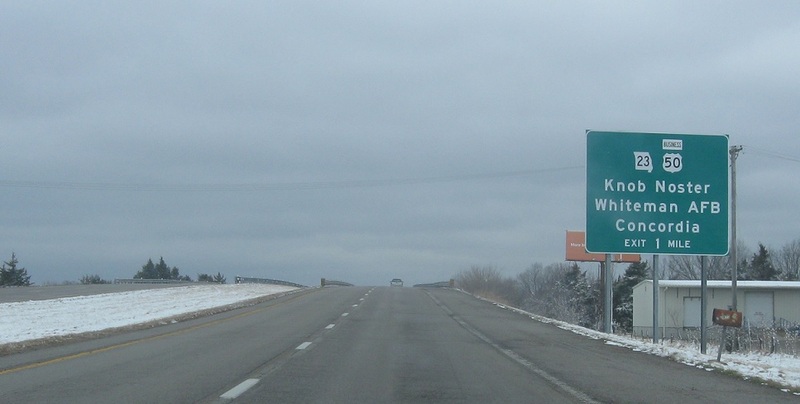 As we enter Knob Noster, we’ll approach Missouri 23 and US-50 Business, which is the best access to downtown, even from 50 west. Welcome to one of the top ten place names in the United States. 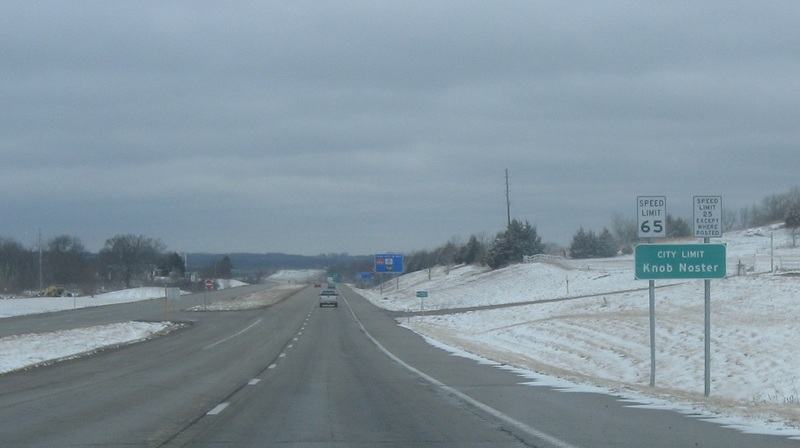 Exit for Route 23, which heads into Knob Noster or heads north to Concordia.